Meet other Magento web developers, store owners and merchants at regular Magento North East events in Newcastle upon Tyne, UK. Insight by Newcastle-based Magento agency Peacock Carter. Magento North East is an event to share knowledge on the Magento platform. Founded by Peacock Carter in October 2015, Magento North East attracts web designers, developers, store owners and store administrators interested in sharing knowledge and best practice on the Magento ecommerce platform. As a leading Magento agency in Newcastle, our aim is the Magento community in the North East of England, and provide a resource for Magento store owners and Magento web designers and developers (just like us!) who want to learn and improve their Magento. 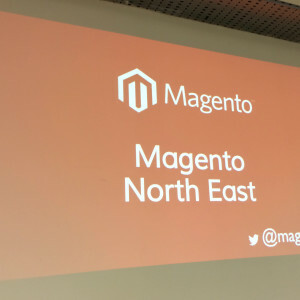 Held in and supported by Campus North, Magento North East rotates between events aimed specifically at developers and events aimed more towards business owners and store owners using, or considering using, the Magento platform. And, by the way – if you’re looking for a Magento developer job in the North East, we could be hiring!